On 17 July 2017, CENN, with the support of USAID/Georgia and in close cooperation with the Ministry of Environment and Natural Resources Protection of Georgia, opened the second recycling corner in Tbilisi, located at the Ministry. 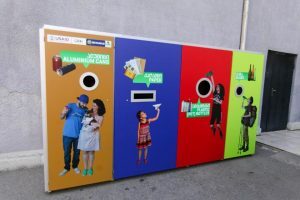 The first recycling corner has been functioning in Didi Digomi branch of Goodwill supermarket in Tbilisi since 4 August 2016. Acting Deputy Mission Director Michael Rossman, Deputy Minister of Environment and Natural Resources Protection of Georgia Solomon Pavliashvili, and CENN Executive Director Nana Janashia opened the second public recycling centre in Tbilisi. Such recycling corners help the country implement modern principles of waste management that include saving resources and getting economic effect by separating and subsequent recycling of waste. Separation corners offer an opportunity to local residents to take their sorted waste: glass, aluminum, plastic, paper and dispose it into the proper bin. Clean World Ltd. provides the transportation and the delivery of the sorted waste to recycling companies. 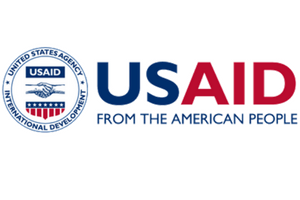 The Recycling Center has been supported by USAID’s Waste Management Technologies in Regions, Phase II (WMTR II) project. 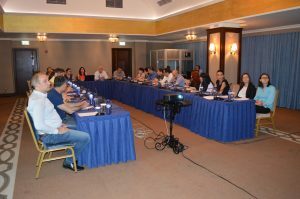 The WMTR II program assists the Government of Georgia (GoG) in modernization of the country’s waste management sector and supports sustainable development and inclusive economic growth, ensuring responsible management of natural endowments that will minimize adverse impacts from waste on human health and natural resources. WMTR II program is implemented in Kakheti and Shida Kartli Regions,Adjara Autonomous Republic and the city of Tbilisi in the following focus areas: • Implementation of an Integrated Waste Management System • Private Sector-Led Recycling • Illegal Dumping Penalties and Tariff Policy • Public Outreach WMTR II is implemented by CENN, with the support of United States Agency for International Development (USAID).